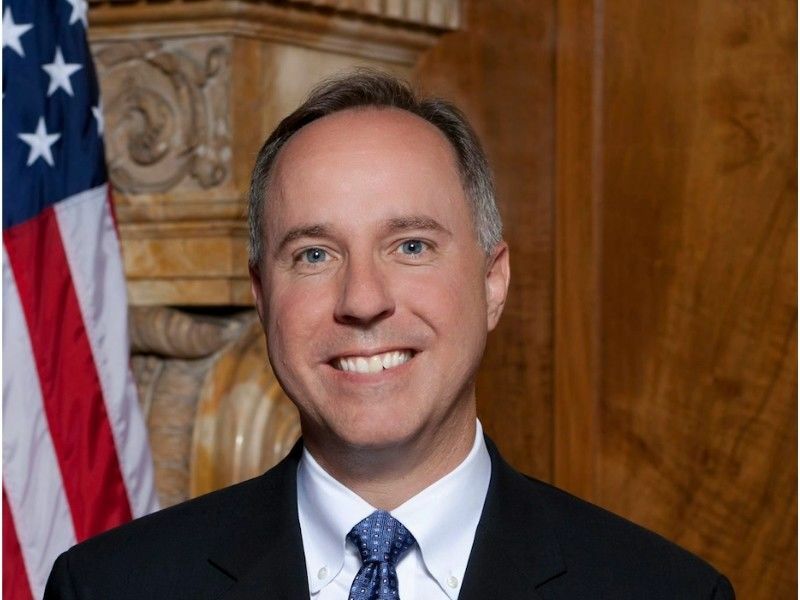 Assembly Speaker Robin Vos gave the Republican response to Governor Tony Evers’ State of the State address. I’m Assembly Speaker Robin Vos. I’m honored to give the Republican response tonight. As I’ve traveled our great state this past year, I’ve seen Wisconsin at its best. Our state and its people are thriving. In northeastern Wisconsin, Marinette Marine is expanding and building the future of our nation’s naval fleet. Outside Lambeau Field, the Titletown development is taking shape and attracting visitors, even, in the off-season. In Milwaukee, the Fiserv Forum is having an amazing inaugural season especially with the Milwaukee Bucks having the best record in the NBA. Throughout Wisconsin, many farmers had their first growing season of HEMP in more than 70 years. Business owners across the state are increasing pay to meet the demand in our competitive market place. Wisconsin now has more jobs than people to fill them. It’s clear: the state of our state is strong. You simply can’t ignore the facts. The Wisconsin unemployment rate is at its 11th straight month at or below 3 percent. New businesses are up nearly 7 percent. We’re seeing the fewest mortgage foreclosures in 18 years. Exports have increased by 3.2 percent. Tourism spending now tops 20 billion dollars. And Wisconsin families have the lowest tax burden in nearly 50 years. Economists agree that the state economy is the best in decades. You might ask, how did we get here? For the last eight years, Republicans worked hard to make Wisconsin open for business. We cut taxes by more than $8 billion. We made investments in worker training, froze college tuition and made the largest investment ever in K-12 education in actual dollars. Wisconsin is on a roll and Republicans will not allow it to slip backwards. We’re committed to keeping your taxes low, the state pension fully funded and our budget balanced. We can increase our investment of K-12 education to two-thirds funding, without raising income or sales taxes. As President Ronald Reagan once said, “As government expands, liberty contracts.” He also said, “Freedom is never more than one generation away from extinction.” Republicans in the legislature won’t forget Ronald Reagan’s sentiments. We won’t let government grow out of control and we won’t let socialism to take root in our state. I promise you: Republicans will fight for and protect your freedom, from unnecessary red flag gun laws to the expansion of government-run and controlled health care. We will keep spending in check, continue our successful school choice programs and most importantly, protect the unborn. However, we know that when voters chose divided government, they didn’t choose inaction. In November, the voters said they want us to find ways to work together. That’s why only days after the inauguration, Assembly Republicans sent Governor Evers a letter outlining areas where we thought we could find agreement. It’s my hope that we focus on issues that don’t divide our state, instead we focus on issues that are easy to find common ground. The 11 ideas that we proposed in the letter aren’t meant to be an exhaustive list but a starting point. Things like enhancing internet access, preventing homelessness, improving foster care, and cutting middle class taxes should all be slam dunks. Wisconsinites want us to work together and these are shared priorities that we can begin working on. This past week, Assembly Republicans moved forward on a middle class tax cut using the governor’s framework. Unlike Governor Evers’ original proposal, our plan doesn’t raise taxes on farmers or manufacturers. It uses the GOP surplus to pay for it. The tax cut is targeted to families making under $150,000 and individuals making under $100,000. It saves a married couple with a median income more than $300 annually. We can make this middle class tax cut a reality. Another shared priority is protecting the insurance coverage for pre-existing conditions. Assembly Republicans promised that it would be the first bill we pass this session; and we did just that earlier today on a bipartisan vote of 76 in favor and 19 against. The Assembly approved this bill guaranteeing access to insurance for individuals with pre-existing conditions regardless of what happens to ObamaCare. The bill also eliminates any annual or lifetime cap on health insurance in Wisconsin. There should be no reason why Governor Evers doesn’t sign the pre-existing conditions bill passed with a strong bipartisan majority or approve a middle class tax cut that he proposed and paid for by the GOP surplus. Tonight Governor Evers said he expects the legislature to take up the budget that he crafts quote “by and with the people of our state”. We will consider the ideas in his budget but unfortunately, his ideas are only focusing on one side of the aisle and not the vast majority of Wisconsin. If his budget is merely a tax-and-spend wish list, one that would never pass this legislature, his budget would amount to political gamesmanship and the words of bipartisanship he said tonight will ring hollow. Every person who runs for public office wants to change their part of their world for the better. One of my first introductions into politics was by my sixth grade teacher in Burlington. She told me everyone in the United States has a chance to make a difference. In our system, good people run for office because they want to do things and better the lives of their family, friends and neighbors. Democrats want that. Republicans want that. Every Wisconsinite wants that. That’s why I’m so worried that hate and vitriol have become far too pervasive on social media these days. I believe it discourages people from entering the public arena and fighting for their ideas. We all want what’s best for Wisconsin: so let’s do a better job listening to one another and understanding each other’s perspective. In closing, let me reiterate tonight what Republicans are going to work for over the next two years. We will work to keep the tax burden lower and affordable for the middle class. We will protect those with pre-existing conditions. We will make record investments in K-12 education. And we will move Wisconsin forward. God Bless you and your family and God Bless the state of Wisconsin.